In the five year period to 2011, 149 collisions were reported with IPVs on the Highways England network alone. Considerable advances have been made in recent years to lower the risk to road workers with initiatives such as dual vehicle working and 360° camera systems. 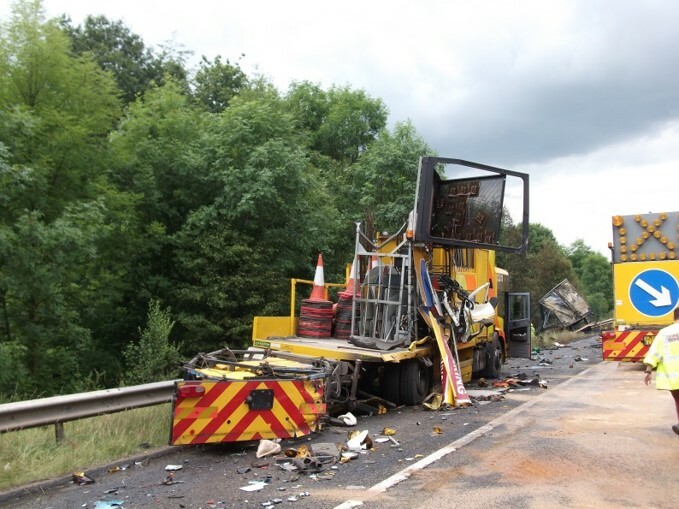 However, removing the driver from the cab of the IPV would significantly reduce the risk of a driver sustaining a serious injury or psychological damage. Colas, having experienced eight such incidents between 2013 and 2016, entered into a partnership with two US companies, Royal Truck and Equipment and Kratos, a defence company, to build and trial the first Autonomous IPV in the UK. It is fitted with an electro-mechanical system and fully integrated sensor suite, the Autonomous IPV also has a leader/follower capability. This allows it to follow a lead vehicle's GPS position data which is transmitted to it. The follower vehicle uses the data to copy the exact path and speed of the lead vehicle at each point along a route. The sensor technology within the vehicle includes high precision GPS, a vision based lane keeping system – LIDAR/Optical, forward and rear collision radar and impact sensor. Colas has undertaken successful trials with the system. 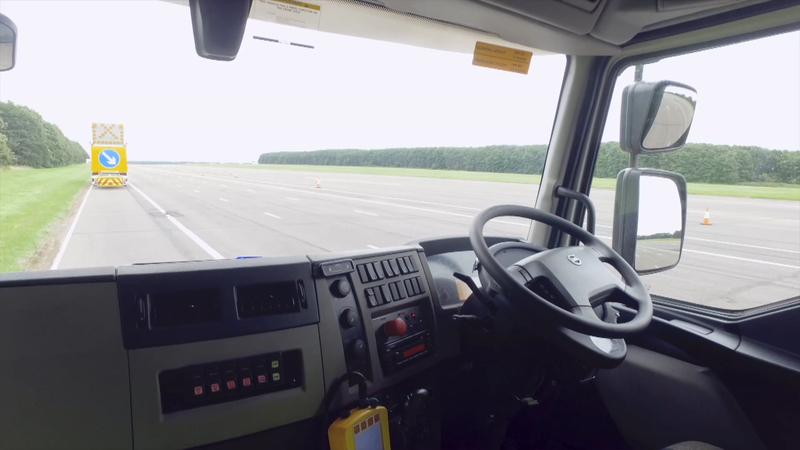 At present, legislation requires a test driver to be present during autonomous operations. Once the law has changed, the driver will be removed from the vehicle thereby eliminating the risk to employees and contractors alike. The system is already operational in the US. Significant reduction in potential risk to drivers of IPVs.